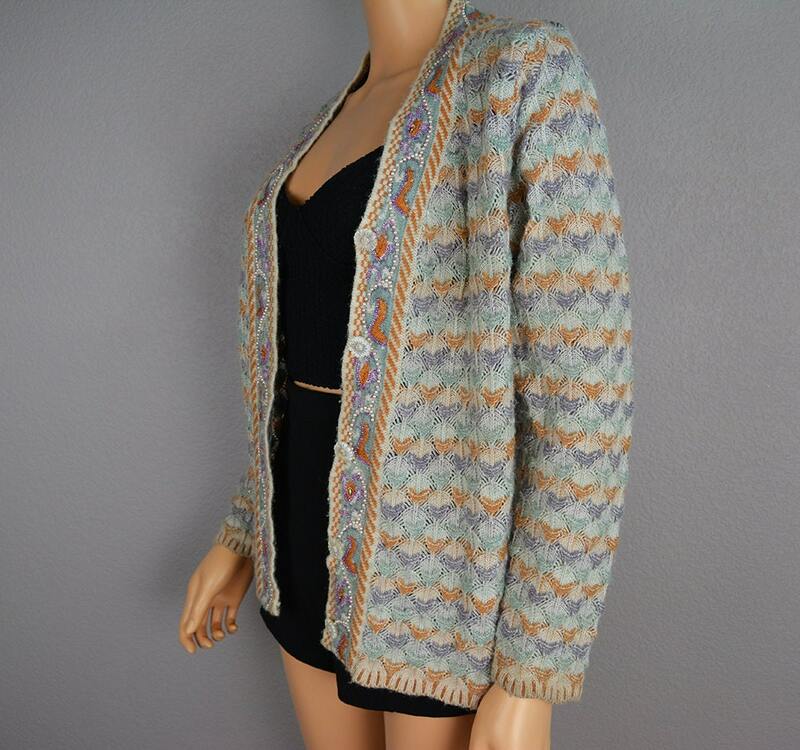 Beautiful seafoam green cardigan for sale. This chunky knit sweater is very soft and cozy. 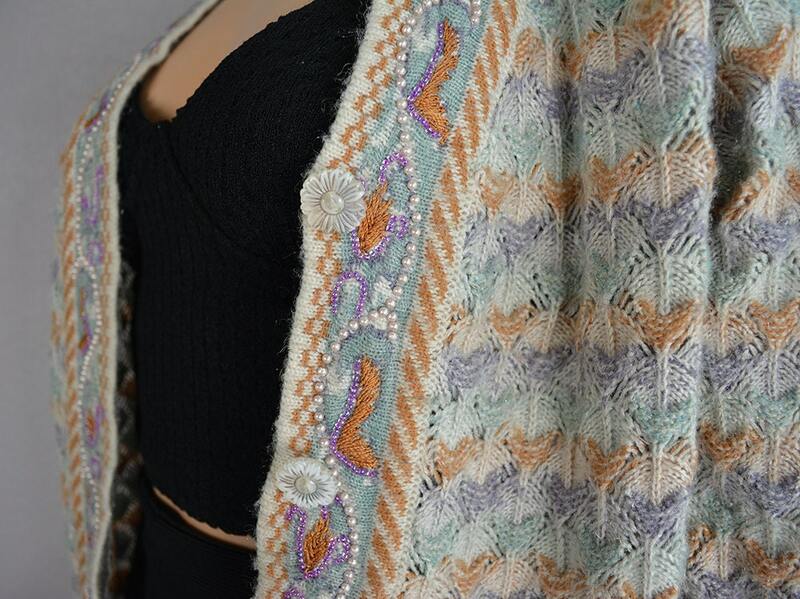 The front of the sweater has dainty pearl accents as well as small purple beadwork. The buttons are shaped like white flowers. 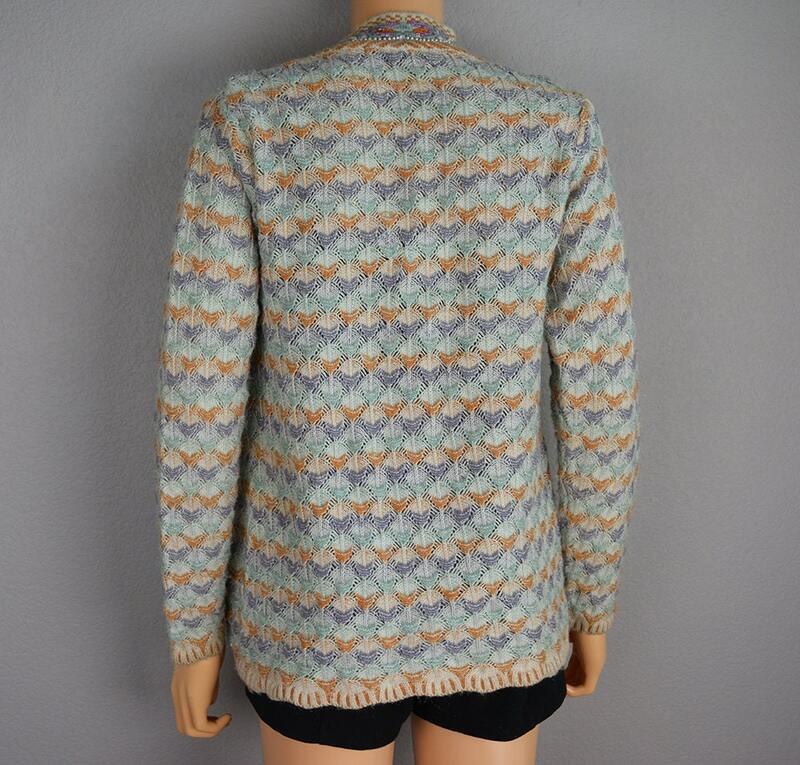 This sweater has so many elegant details! The colors are seafoam green, white, tan, and lilac. The design is quite retro, while the pearls and beading are reminiscent of a sweater from the 50's and 60's. 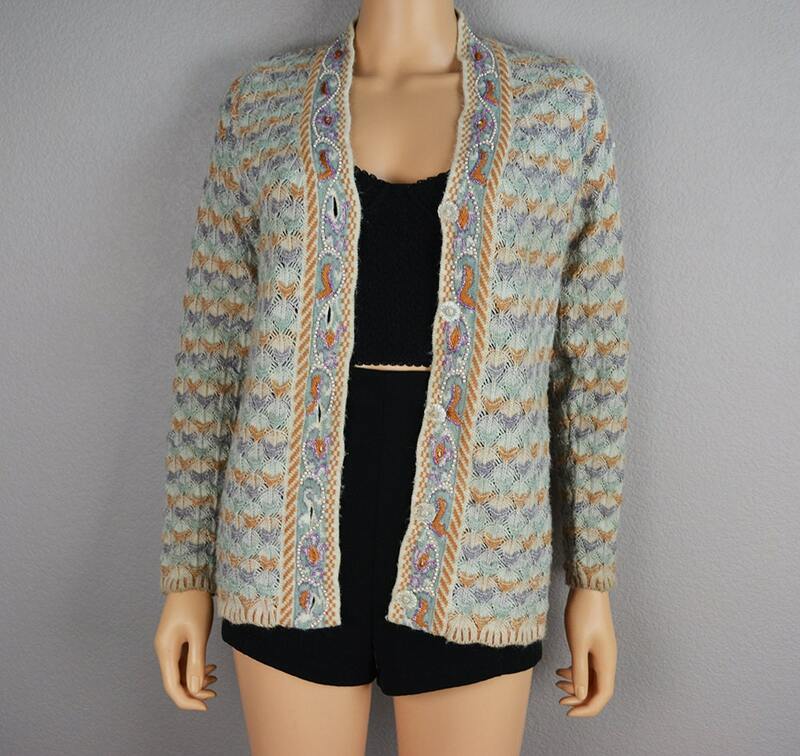 This sweater combines so many eras into one look! However, we are guessing it is actually from the 90's. It is in superb vintage condition. 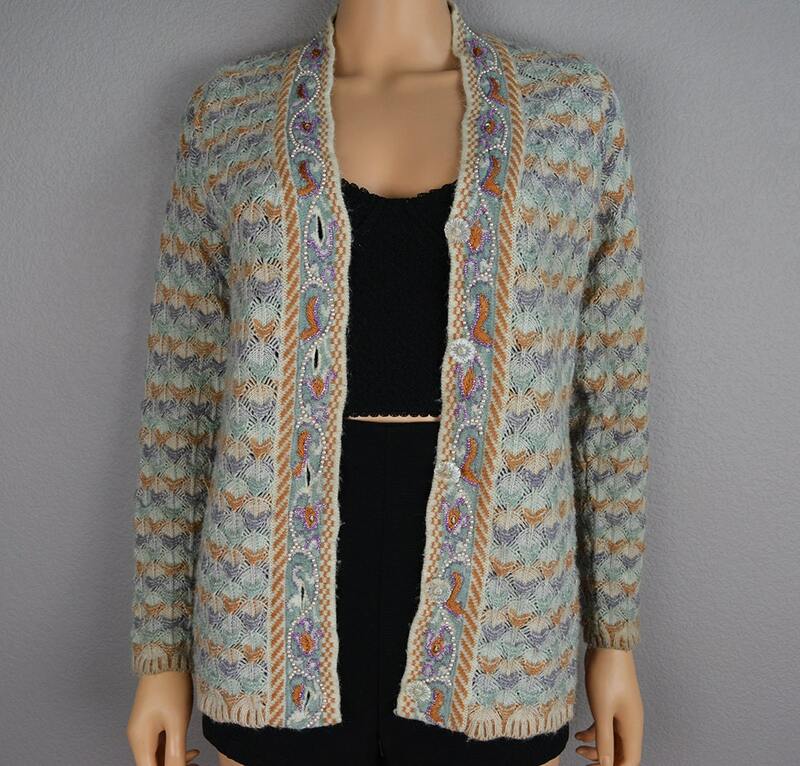 Size: Not stated on the tag, but I would say it fits small to medium.